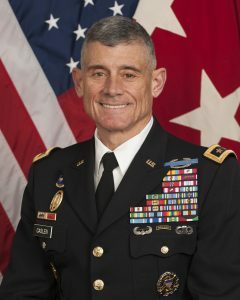 With the news that Lt. General Robert “Bob” Caslen is being considered for the role of National Security Adviser, many of his former high school classmates and teachers at North Country Union High School in Newport, VT, are remembering him as a stand up guy, a great athlete, and a fierce competitor on the football field. He graduated from the high school in 1971. Gen. Caslen is currently the superintendent of West Point. Well, according to the news, he didn’t get the position, but it was quite the honor he was considered. And it’s not too bad that a local guy is the superintendent of West Point.